Reiki being a holistic healing technique can also help you to heal on an emotional level. The fingers represent the five elements of the body, which in turn associated with emotions. I believe Reiki helps you to heal the emotions by channelling it to the associated fingers because of the connection between finger-elements-emotions. If you are affected or overpowered by any emotions just give Reiki to the corresponding finger accordingly. Cover your finger with other hand completely and channel the energy with the intent that it brings balance to the element for the greatest good. Do it on the fingers of both hands. The same process can be used while doing a Reiki session. We can check the behavioural pattern of the receiver before beginning the session. If possible start the session by giving Reiki to the concerned fingers first and then carry on with the remaining. One of the best things with Reiki is experimenting. Following are the basic list of the emotions which we face in day to day life and are connected to the fingers and elements but you can make your own list by working on it. Just try it and experience the difference that will give you inspiration to continue and to explore further. Ensure to surrender yourself to the divine loving energy while doing Reiki. Stay Blessed! Love and Light! You should write a book as well as e-magazine articles. You would do well with your knowledge & experience. I am going to add this technique to my current practice of Reiki. Thank you. I’ve been studying with a Chinese master since 2005. According to traditional Chinese medicine the fingers represent the five elements. Thumb represents EARTH and the emotion worry. Index finger represents WOOD, and the emotion anger. Middle finger represents FIRE and the emotion depression/anxiety. Ring finger (4th) represents the element METAL and emotion grief/sadness. The little finger (pinkie) represents the element WATER and the emotion fear. You can balance all five elements by squeezing all 5 fingers together of the left hand with your right hand. OR you can balance all five elements by pointing all five fingers at each other. Leave a tiny space between the fingers. Another option is what my teacher calls ‘tight-loose.’ Squeeze one finger for one minute, then relax it for one minute. Do this for 5-10 minutes to balance a particular element. You can learn more in the books Zhi Neng Medicine, Power Healing, and Soul Mind Body Medicine. More updated books include Soul Mind Body Science System (co-written with a theoretical physicist). This book includes advanced teachings on how to employ the Ba Gua for healing and much more. His name is Dr. and Master Zhi Gang Sha. He is a medical doctor, doctor of traditional Chinese medicine, herbalist, world-renowned acupuncturist, lineage holder of longevity and immortality tradition, and other Taoist, Buddhist traditions. He is lineage holder of Guan Yin Lineage. I met one of his spiritual fathers and tradition leaders in China, Dr. Zhi Chen Guo. He wrote the book of Master Guo called Body Space Medicine. If you are in the field of traditional Chinese medicine or acupuncture you will find this book a great resource. Please keep up with your great articles and teachings. Love them! Many Thanks. Love & Light! Yes!! love tips like this! 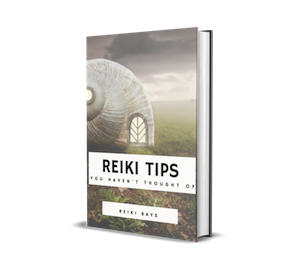 Next post: Is Reiki Trying to Talk with You?